In a move that could provide much needed relief to home buyers and level the field with the builders, the Supreme Court has held that real estate developers cannot have agreements which are biased against homebuyers. The apex court pointed out that such a contract would fall under unfair trade practices of the Consumer Protection Act. 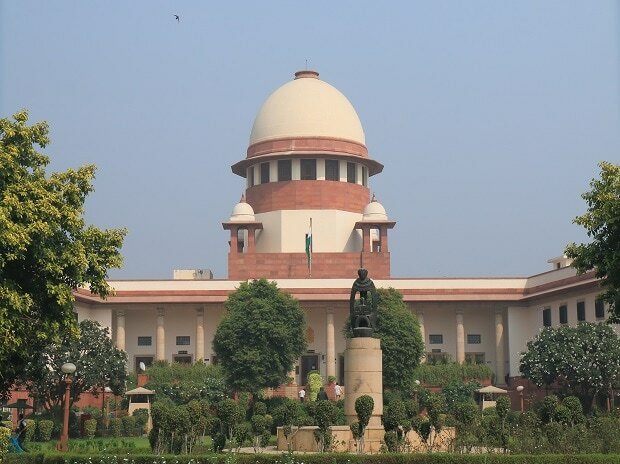 A two-judge Bench of Justice U U Lalit and Justice Indu Malhotra was hearing a builder’s appeal against the National Consumer Disputes Redressal Commission (NCDRC)’s judgement asking it to refund the entire cost of a flat to the buyer for inordinate delay in handing over possession of the property. While affirming the NCDRC’s judgement, the two-judge Bench said that the agreement that the builder had signed with the buyer was “wholly one-sided and unfair” as there were stark incongruities between the remedies available to both the parties. “Builders do have such clauses in their agreements but the courts have tried to balance the equities between the builders and flat buyers from time to time. That does not change the fact that there is an over-legislation in the sector as there are many avenues available to the buyers,” Simranjeet Singh, Partner at law firm Athena Legal said. The buyers, Singh said, can approach Real Estate Regulatory Authority (RERA), National Company Law Tribunal (NCLT), NCDRC and other forums for redressal of their complaints. Industry experts on the other hand believe that the apex court has unfolded a fair-play game between both buyers and builders. Previously, builders charged almost double the penalty amount from buyers in case they defaulted or delayed payments. On the contrary, if builders delayed the project, their penalty rates were nearly half. Thus, this ruling by the apex bank has ensured a level-playing ground for both buyers and builders. "It is indeed a welcome relief for buyers as they have been at the losing end of delayed or stalled projects. Many buyers have had to bear the double burden of Equated Monthly Instalment (EMI) to the banks as well as the rentals of the house they live in. This will thus at least help them to ease some pressure," said Anuj Puri, Chairman of ANAROCK Property Consultants. The top court’s decision, Puri said, would send out a strong message to builders to avoid project delays in future and adhere to deadlines. While the rates of interest per annum vary from builder-to-builder or even project-wise, these are usually around 15 per cent for a buyer who defaults on instalment payment to the builder. The construction agreement also mentions the builder also has the right to nullify the agreement in case the buyer exceeds his due payment dates by certain number of days post builder reminders for payments. Developers conveniently fix the penalty charges at almost half of what buyers have to pay. The penalty charge to be paid by the builder is usually fixed at around eight per cent but it varies from project-to-project and from builder-to-builder as well. There are only a few instances, wherein builders have paid the penalty amount to buyers in case of project delays as they find some excuse, even legally, to get away from paying to buyers. If the builder fails to deliver the possession of the apartment within the stipulated time period, the buyer would have to wait for a period of 12 months after the end of the grace period and then serve a termination of agreement notice. Even after the said termination notice, the builder would have another 90 days to refund the amount, which the two-judge Bench said was in contravention of the Consumer Protection Act. The developers believe that this judgement would add strain on the sector that is already suffering losses. "There are many companies who are under stress. This along with all the regulations would hurt the sector more,” said a top New Delhi based developer. There are cases where the builder has constructed the entire structure but could not offer possession within the stipulated time period owing to some delay. Under such circumstances the equities have to be balanced between the buyers seeking refund as well as the buyers who seek possession and the builders, Singh said. “Surely there must be some compensation on account of the delay by the builder but asking for the entire amount to be refunded, would make it a near impossibility for the builder to complete the project and give possession to the other flat buyers who seek possession and not refund. A genuine builder must be given some leeway for delay,” Singh added.